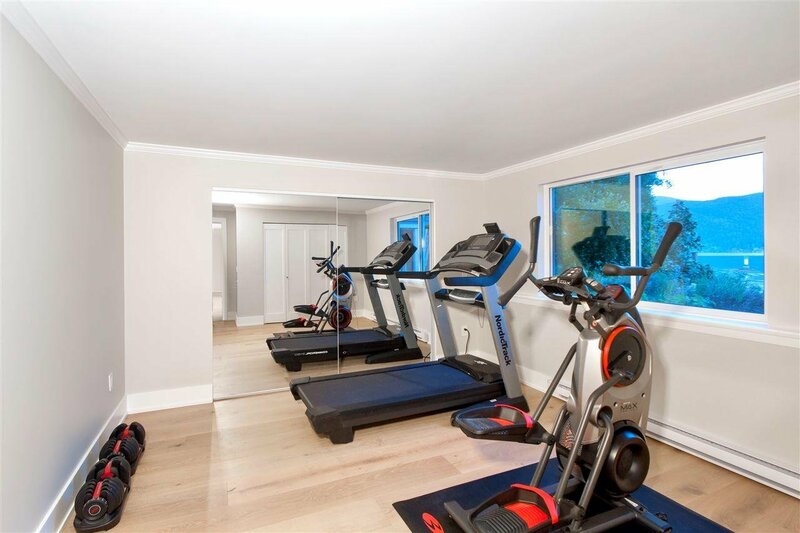 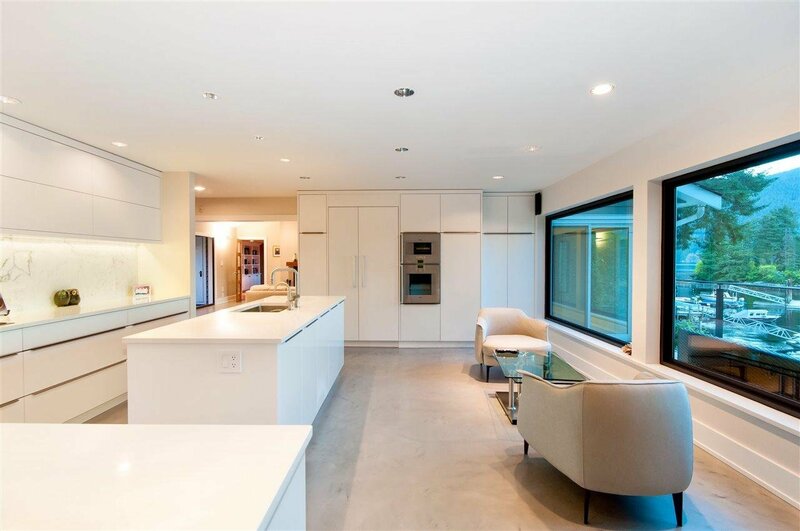 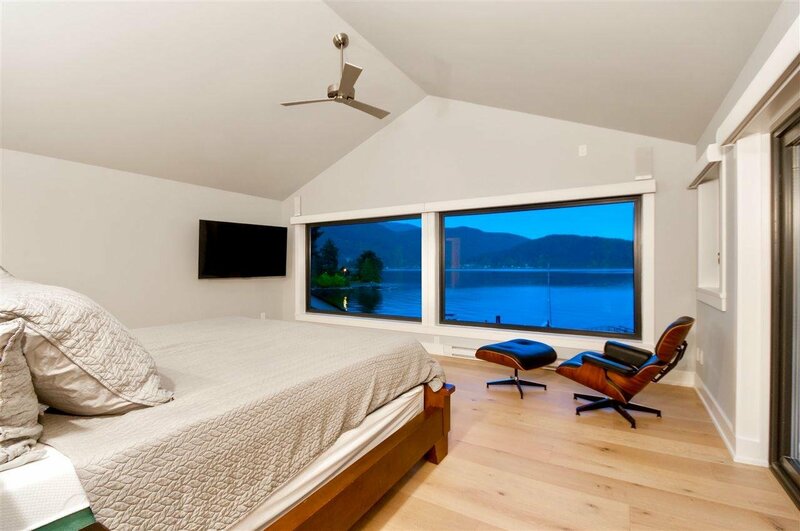 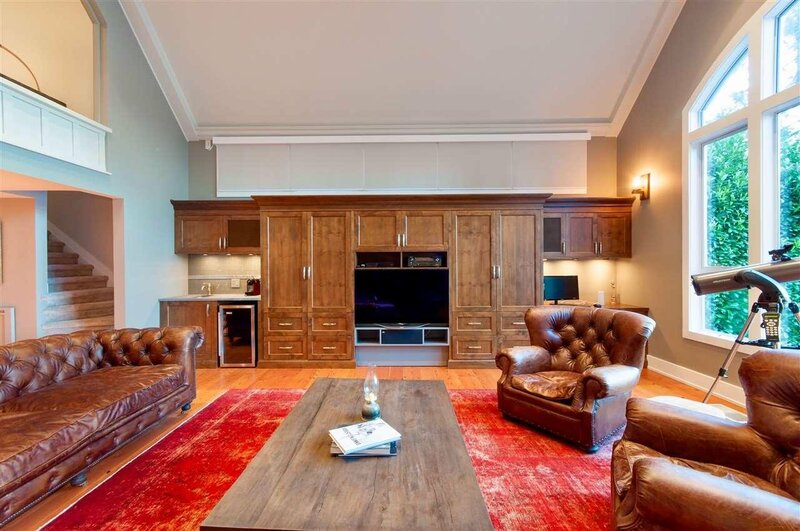 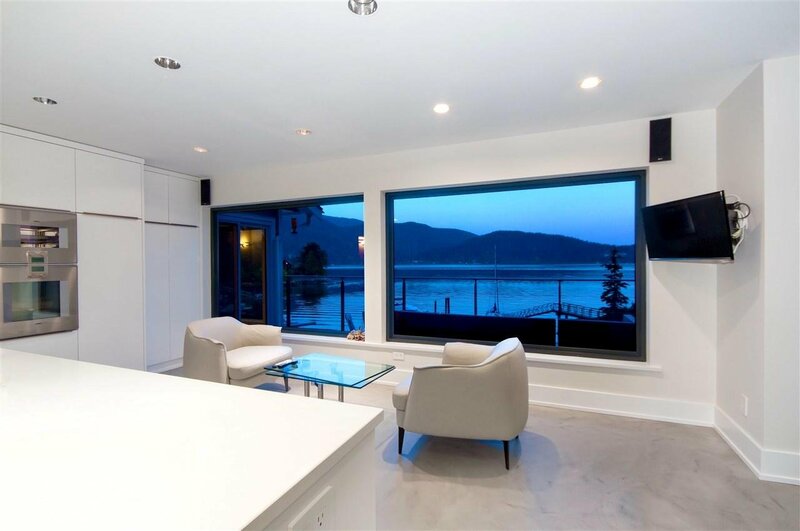 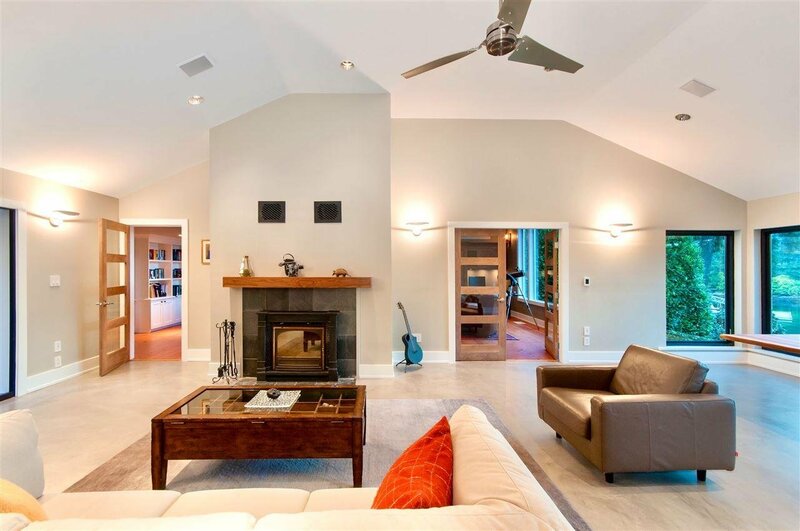 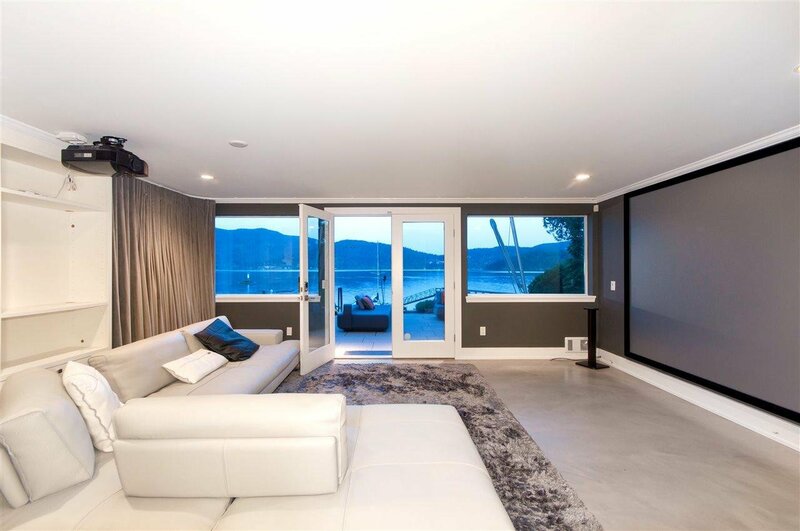 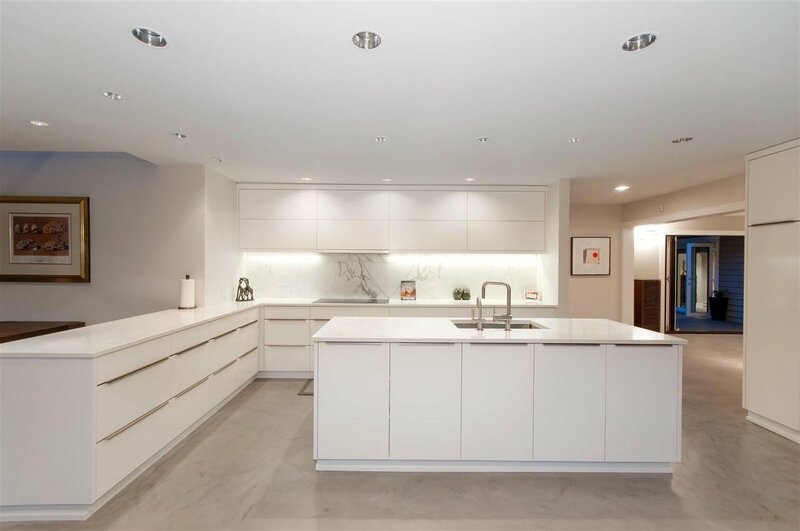 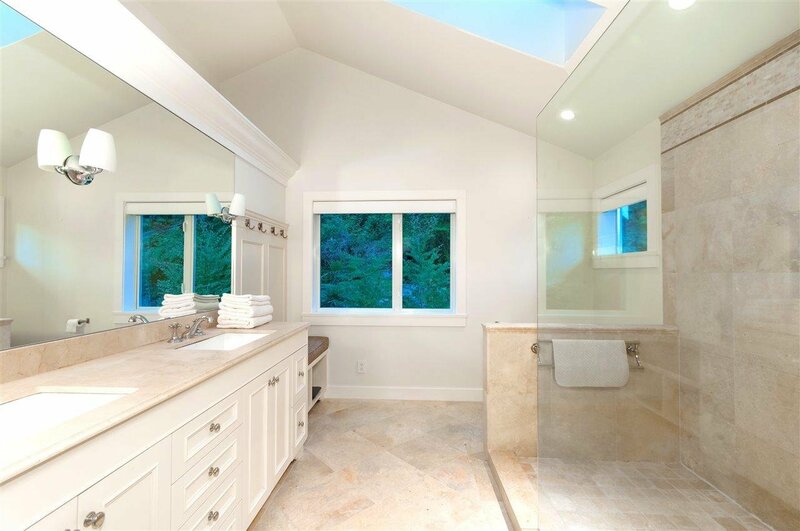 A spectacular newly renovated waterfront residence situated on a level and manicured 20,128 sq.ft. 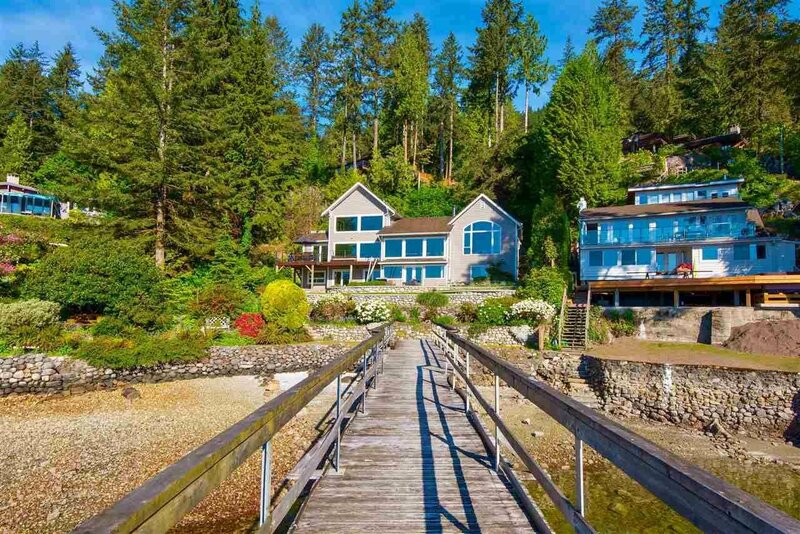 beachfront property overlooking the most breathtaking ocean and coastline views imaginable! 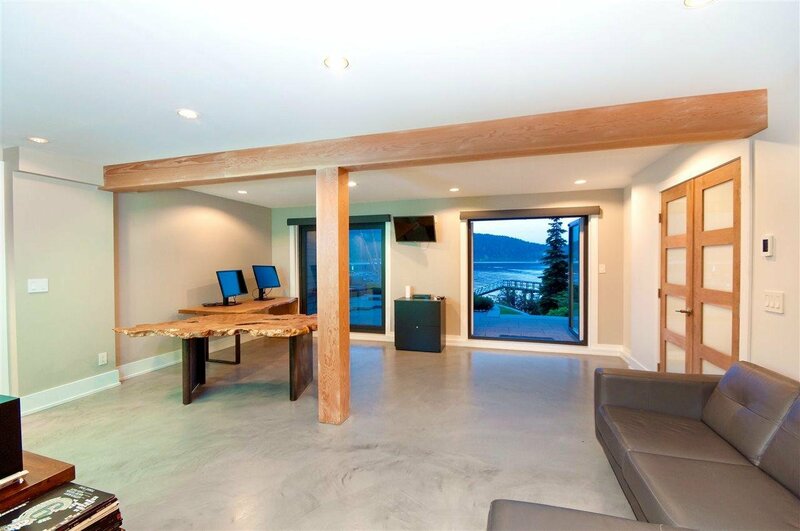 The home offers a dramatic open floorplan, polished concrete & hardwood flooring, vaulted ceilings, contemporary kitchen with top appliances and adjoining eating area, Great Room with large picture windows and floor-to-ceiling Eclipse doors - all opening out to a sunfilled deck overlooking the sparkling ocean’s edge. 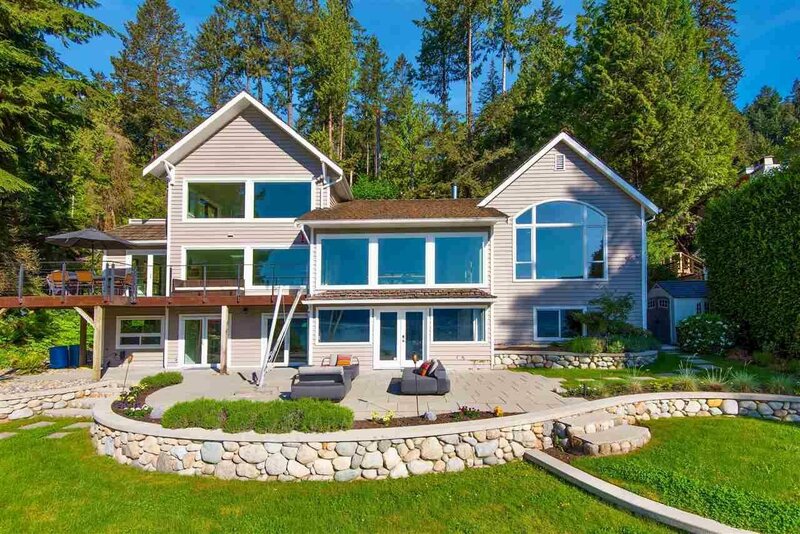 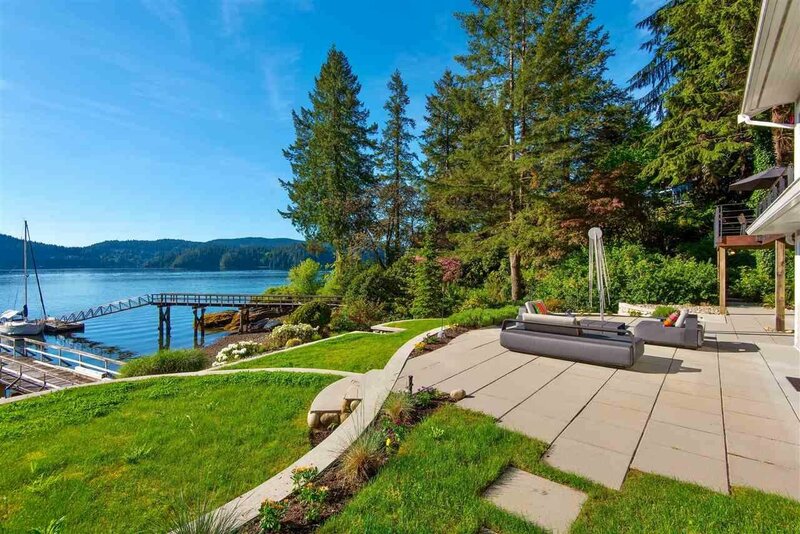 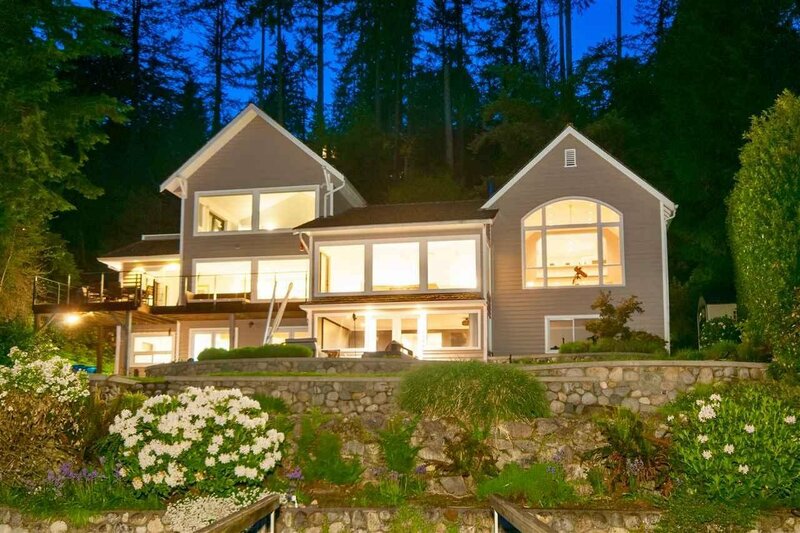 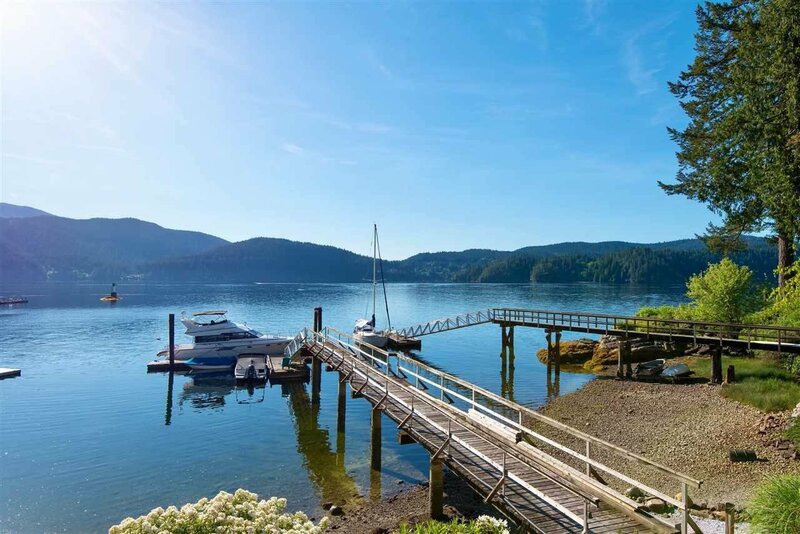 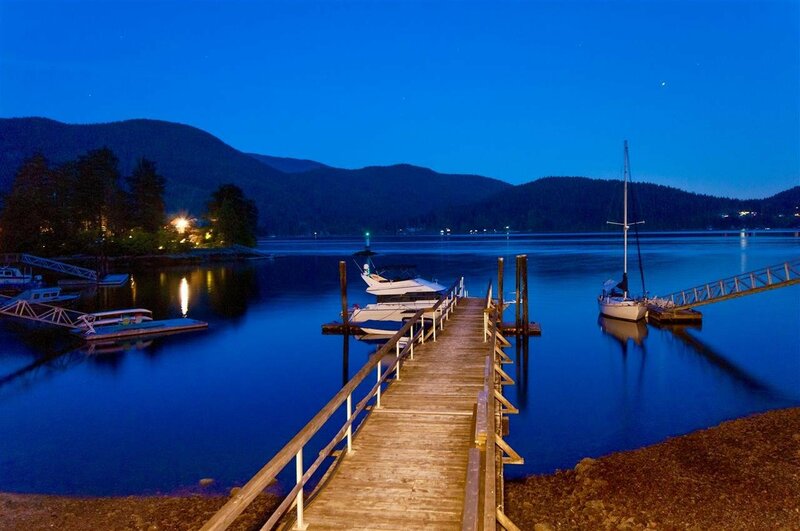 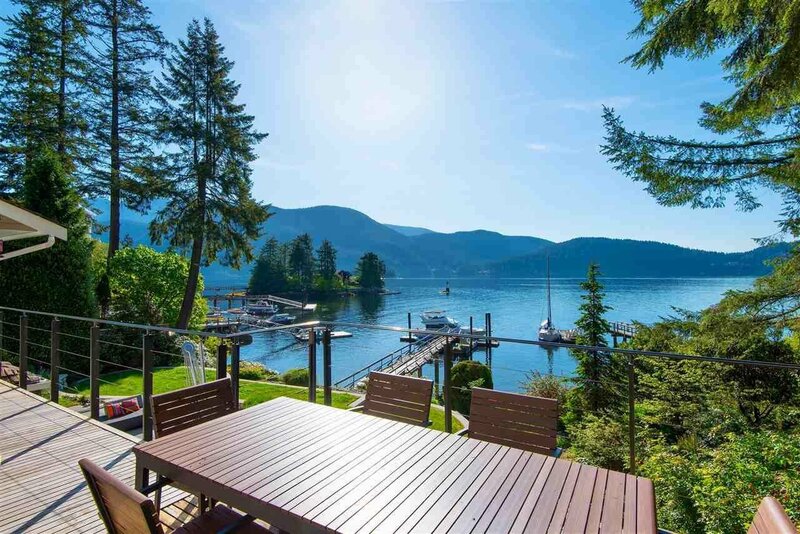 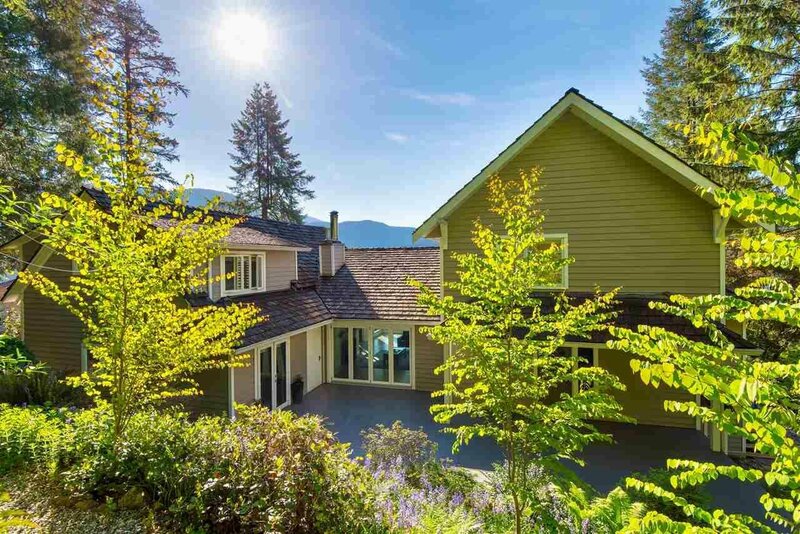 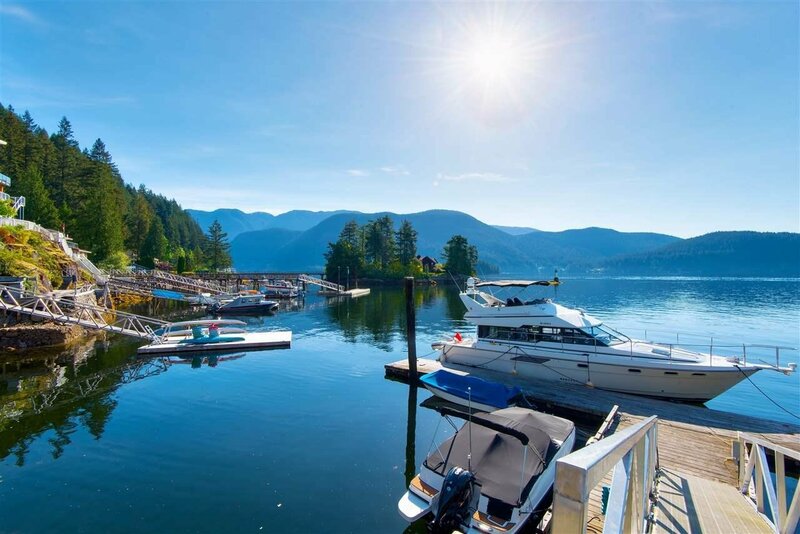 Beautifully landscaped with manicured gardens, towering cedars and a walking path to a a child-friendly beach & semi-private dock (shared with 1 neighbour) with deep water moorage for a 50 ft yacht This gorgeous residence offers the finest in luxury and waterfront living!